Best Buy: Sound Systems to Small Appliances on Daily Deal! 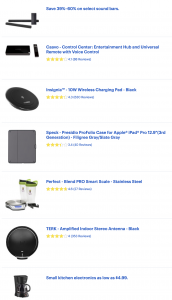 Check out the really long list of Best Buy Daily Bonus Deals today – sound equipment for the big game to air fryers to cook those crispy wings! So many small appliances, they even have their own link!